I go away for a couple of days Salmon fishing come home tonight and see even Barry's score blown out of the water. Don't know how you guys are doing it but i still cannot score over 300 ins in fish, if comp finishes Friday night i still have slight chance. Will give it my full attention tomorrow and see if i can get a place on rostrum, even the new member Jyndrek is showing me up. Bye the way , no Salmon were playing either all i had was small Brown Trout. But did meet someone new all the way from Australia for a days Salmon Fishing. Not totally true, he brought his Scottish girlfriend and son , back to Scotland to show her parents. But she had bought him a present of a day's salmon fishing on Tay. We are going to meet up while he is here and i have offered to take him tout fishing. Well better get started and try this fishing lark again. Once again you turned in a very good score. Excellent for a first time RWFF tournament participant. You caught on to this game really fast and achieved very good scores. Sometime winning is not everything. It is the overall experience, the excitement and the friendship that makes it all fun and worthwhile. Hopefully you have enjoyed this little bit of competition and gained some knowledge about our wonderful little fishing simulator and what it can do. You will be a real force in our future tournaments. I checked my fish records and it showed that the Jumping Brook Trout Male has not yet been published. I usually publish a new fish at the same time I publish an outing, whether it is one of my own, or Martin's and other outing makers. I built this male Brook Trout on an idea that I was working with Chuck, one of our temporary absent members due to computer problems. The idea was to have a pair of spawning fish in an appropriate setting and correct season. For the Brook Trout it would be the Fall of the year. This fish will swim around in "Stanley's fish pond" until it is time to use it. I hope Chuck will return to our Forum soon as he had many great ideas about our game and was a very active member for a while. Good to see you back from your fishing trip even though the Salmon at the Tay had duck tape around its mouth and would not play on that day. Yes, the competition has been intense and Bob came up with a fabulous score, catching only all the big fish and avoided the Piranha all together. This score will be pretty hard to beat! Jynbrek, our new member from Poland, has caught on really fast and has turned in some very respectable scores for a first timer. He will be a force to reckon with in future tournaments for sure. You had better stop reading this post and get back to your computer now. Time is running out! Good luck on your last efforts to catch some big ones! Puts me back in contention i hope. Bob think this might be the fish you lost in 9. Not much of a total for challenge, but i finally made it over 300ins. Now i know what to try and do tomorrow. Barns: At least you got some real fishing in. That is the fish I lost on site 9.
a good fight on a 2x.....Now get your challenge score up. Records are falling like flies towards the end of the tournament. A VERY NICE GIANT WOLFFISH1, Barns. That should put you right back into the limelight, at least for a little while. That is until Roger or Jyndrek or Badger manages to catch a even bigger one! Bob might get lucky with his magic fly again? Who knows. Well, I hope everyone has had some fun with this mini tournament. I chose the lighter tackle because this would give the jumping fish a chance to fight better. I hope you all enjoyed the new acrobatic jumping fish. I also thought this added a bit more fun and realism to our game. Good luck everyone during the final hours. I will announce the special prizes when the tournament is over and we have a couple of winners. Been hard at it all day , but still no closer to anyone, i'm bringing up the rear. But i did manage to increase my score. So not too late. Still 9 hours left to go. Tried hard all day , with not much luck, but ended night with an increase in score. Well I didn't receive any last minute entries, So this contest comes to an official end. Well everyone was really busy posting scores even are friend Martin who is on Holiday in the Philippines even joined in and turned in a competitive score. Our newcomer Jyndrek from Polamd in just a short time of joining RWFF, caught on quickly and was making everyone a little nervous. Congratulations to Jyndrek for doing so well. 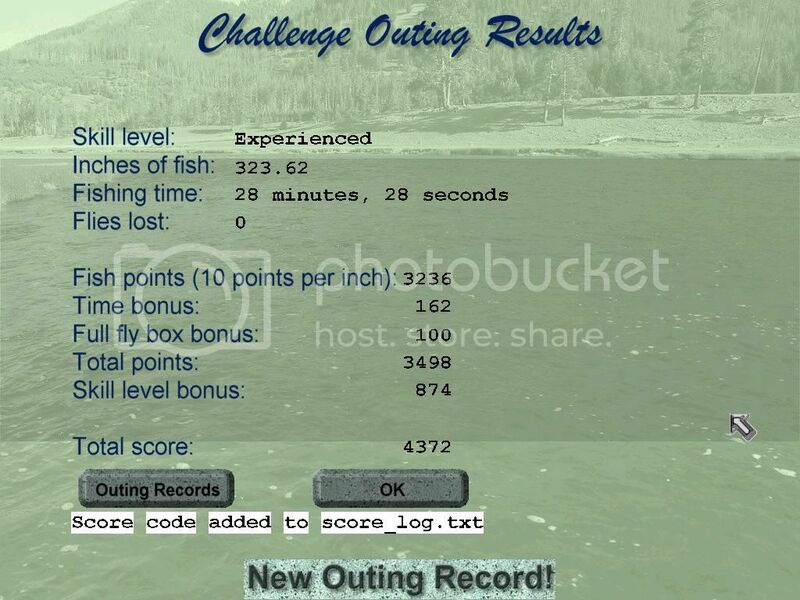 All of a sudden Badger comes up with a decent score and a big fish. Thought his score was going to stick at the number one spot until Boston Bob comes up with an outstanding score that bypassed everybody. Jyndrek come up with the big fish until all of a sudden Barns comes back from his real fishing tourney to beat everyone out on the big fish. The Forum for this tournament was really busy and ended up taking four pages of posting. We all want to especially thank Stanley for putting on this tournament and especially for the outing that he personally made with some new fish species to add to it. Excellent job Stanley with this outing it definitely made it a very challenging Tournament. Thanks again for all of your hard works and efforts put forth to make this tournament so enjoyable. 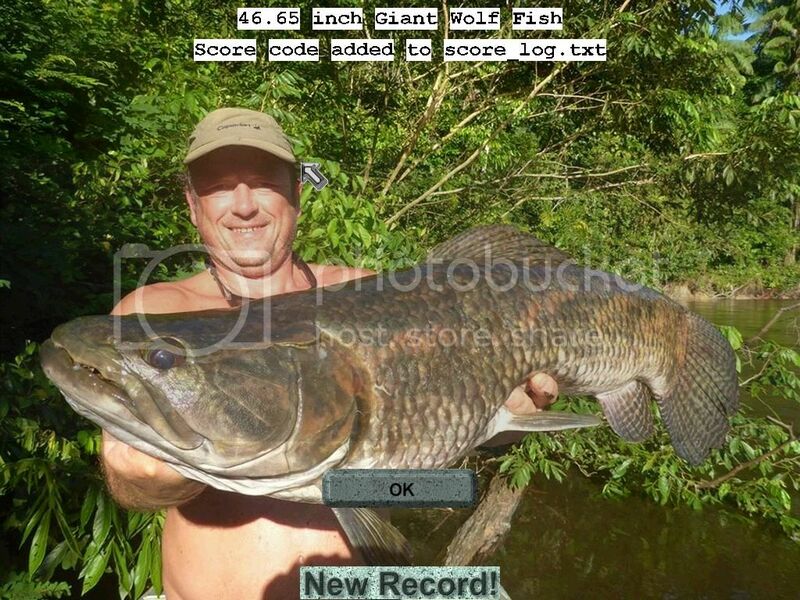 mean scores and the size of fish caught.